Adjustable beds also known as Adjustable Electric Beds allow you to adjust the bed into various positions to make sleeping more comfortable. Helping to relieve back pain, poor circulation, aches and pains, most electric beds can be adjusted by changing the position of the bed using a remote control. The upper end of the bed can be raised to reposition the back and head, or the lower end of the bed can be raised to help change the position of your legs. When buying an small single adjustable bed it's important to consider the type of mattress you require. Available with a range of different types, including innerspring construction, memory foam, latex, or a combination of fillings, adjustable Beds also come in a range of tensions. Memory Foam will have a softer feel, naturally shaping to the contours of the body, whereas a pocket spring interior will have a firmer spinal support quality. 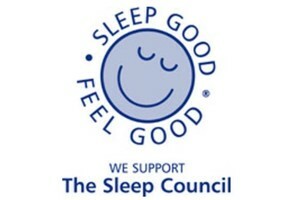 Four major adjustable bed manufacturers include Slumber Night, Sherborne Upholstery, Sweet Dreams and Respa. The Slumber Night Sovereign Motorised 2' 6" Divan Bed is a High Quality Adjustable Bed with a 3-Way German Motorised Action. Available with the luxury Sovereign Mattress, the Slumber Night Sovereign Motorised 2' 6" Divan Bed incorporates an 800 Count Zoned Pocket Spring System, providing excellent spinal column support and a lavish Layer of 40mm Visco Elastic Memory Foam, which naturally shapes to the contours of the body. Finished in a High Quality Belgian Knitted Ticking, this Micro-Quilted, Non-Turn Mattress promotes a softer feel. The Sherborne Hampton 2' 6" Head-only Adjustable Bed features a single motor control to provide head-only adjustment. Complete with two headboard options, this luxury small single electric bed benefits from a fully upholstered, easy-assemble no-slat base, stylish chrome-plated legs and a choice of eight mattresses in a soft, medium or firm tension. The Sweet Dreams Supreme 2'6" Adjustable Bed features a superb, five-action motion which operates at the touch of a button. Complete with a luxurious pocket spring mattress with four handles and two vents, this sumptuous motorised bed also has an optional massage unit. This motorised bed also comes with a laminated beech slatted base in five divan options with optional drawer storage. Has an Adjustable Bed been recommended to you or a family member for health reasons? If so, and you live in Northern Ireland, request a letter from your Doctor and at Dalzell's we'll Zero Rate The Vat on your purchase! Yes, you will not need to pay the 20% VAT! What's more with Free Delivery and Free Collection and Recycling of Your old Bed throughout our Free Delivery Zone of Northern Ireland and Counties Dublin, Louth and Monaghan, you'll know you're getting a great deal. At Dalzell's Beds we stock an extensive range of adjustable beds from leading bed brands Respa, Slumber Night/Balmoral Beds, Dorlux and Sherborne. Visit us in-store or view our collection online for further details. Remember delivery of your adjustable bed from Dalzells is free anywhere in N.I. and Counties Louth, Monaghan and Dublin in Ireland. What's more, if an Adjustable Bed been recommended to you or a family member for health reasons and you live in Northern Ireland, request a letter from your Doctor and we’ll Zero Rate The Vat on your purchase! Yes, you will not need to pay the 20% VAT! Delivery throughout the rest of Ireland available at Highly Competitive Rates.